We have Rattan Dining Chairs, to make any look complete. Now you can enjoy a hand woven and hand tied synthetic Resins over these chairs. There are many colors available. These chairs are just something pretty either. They are durable, and built to last. 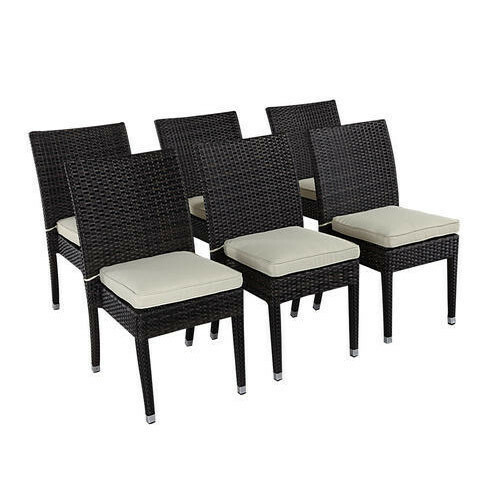 These chairs are not only comfortable, they are also lightweight and stackable.When it comes to finding the best Rattan Dining Chairs, Wicker CafÃ Chairs, or Wicker Restaurant Chairs, we have just what you are looking for.